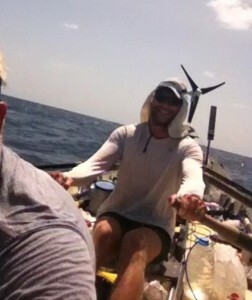 Toby Wallace rowed onboard Titan on her maiden voyage across the Atlantic in 2012. An experienced flat water rower and a “man mountain” at 6’7 tall, Toby was the driving force behind the quick crossing time of 34 days. He competed in the World Rowing Championships and had the honour of rowing for Cambridge in his twenties. He completed the Coolangatta Gold Surf Ironman Race in 2009 on the Gold Coast of Australia; the world 24-hour solo mountain bike championships in 2009; and also came 10th in the Expeditionary Adventure Race in 2010. An incredible athlete and team player, Toby was an inspiration to so many in his life. Sadly, he died in July 2013 on a cycle ride from Lands End to John O’Groats raising money for charity – that was his way, dedicating much of his life to giving and ensuring that others got as much out of life as he did. 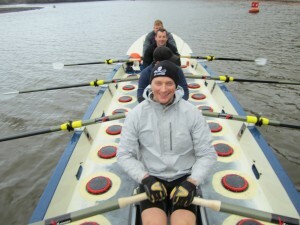 The crew of Titan 2012 paid tribute to Toby, and in his memory, the ocean row boat Titan has been renamed “Toby Wallace” in December 2013, and will be used as a fundraising tool for the charities that were close to Toby’s heart. His legacy will continue……. The TOBY WALLACE 8-man ocean rowing boat headed out in February 2014 across the mid-Atlantic and again in November 2014. It’s next crossing is planned for late January/early February 2016. The Kirsten Scott Memorial Trust who Toby rowed for with Titan in 2012 and who he was cycling for in 2013 have agreed to give all the funds raised in his name to this charity and other charities that Toby was directly involved in. Donate at http://uk.virginmoneygiving.com/team/mcmenigallwallace.